REST stands for REpresentational State Transfer, was first introduced by Roy Fielding in his thesis "Architectural Styles and the Design of Network-based Software Architectures" in year 2000. REST is an architectural style. 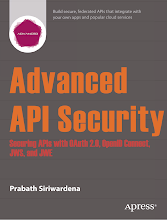 HTTP is a protocol which contains the set of REST architectural constraints. Everything in REST is considered as a resource. Every resource is identified by an URI. Uses uniform interfaces. Resources are handled using POST, GET, PUT, DELETE operations which are similar to Create, Read, update and Delete(CRUD) operations. Be stateless. Every request is an independent request. Each request from client to server must contain all the information necessary to understand the request. RESTful Web Services have embraced by large service providers across the web as an alternative to SOAP based Web Services due to its simplicity. 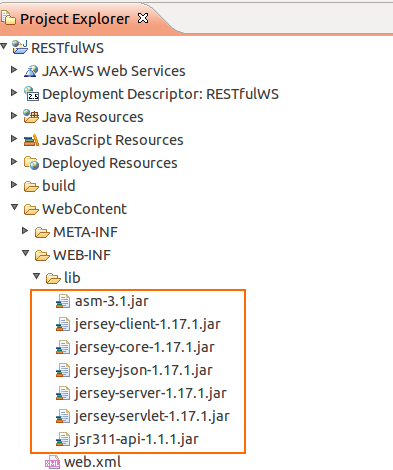 This post will demonstrate how to create a RESTful Web Service and client using Jersey framework which extends JAX-RS API. 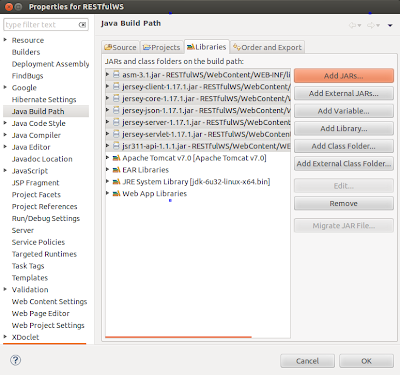 Examples are done using Eclipse IDE and Java SE 6. 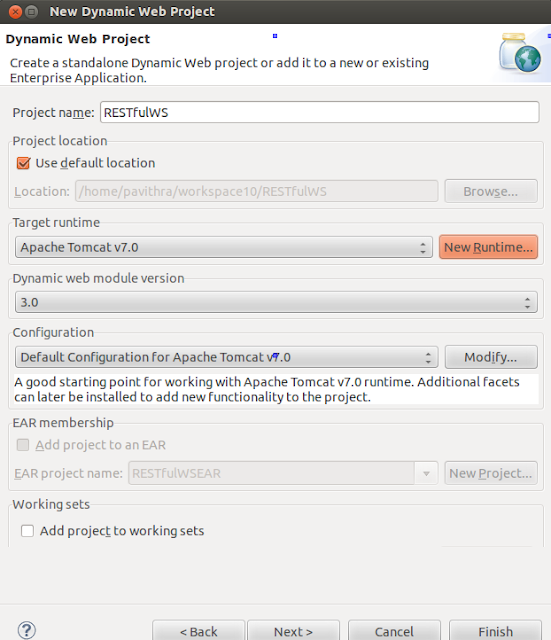 In Eclipse, create a new dynamic web project called "RESTfulWS"
Download Jersey zip bundle from here. Jersey version used in these examples is 1.17.1. Once you unzip it you'll have a directory called "jersey-archive-1.17.1". Inside it find the lib directory. Copy following jars from there and paste them inside WEB-INF -> lib folder in your project. Once you've done that, add those jars to your project build path as well. In your project, inside Java Resources -> src create a new package called "com.eviac.blog.restws". 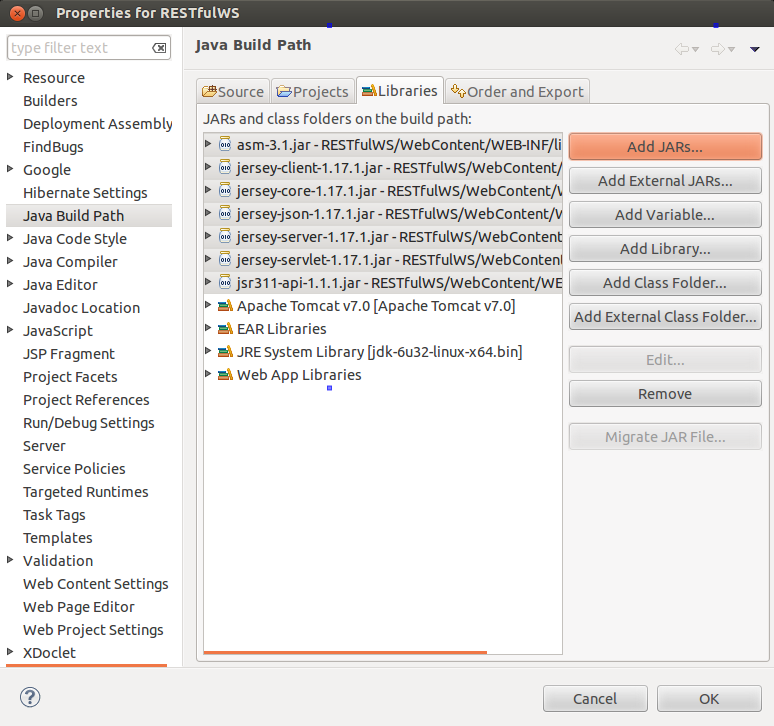 Inside it create a new java class called "UserInfo". Also include the given web.xml file inside WEB-INF folder. // a resource class will serve requests for. // resource class method will serve requests for. // of a resource class can produce. // expression, into the method. To run the project, right click on it and click on run as ->run on server. Execute the following URL in your browser and you'll see the output. Create a package called "com.eviac.blog.restclient". Inside it create a java class called "UserInfoClient". Once you run the client program, you'll get following output.